A house in multiple occupation (HMO) is a property rented out by at least three people who are not from one ‘household’ (e.g. one family), but share facilities like the kitchen and bathroom. These are sometimes called ‘shared houses’. 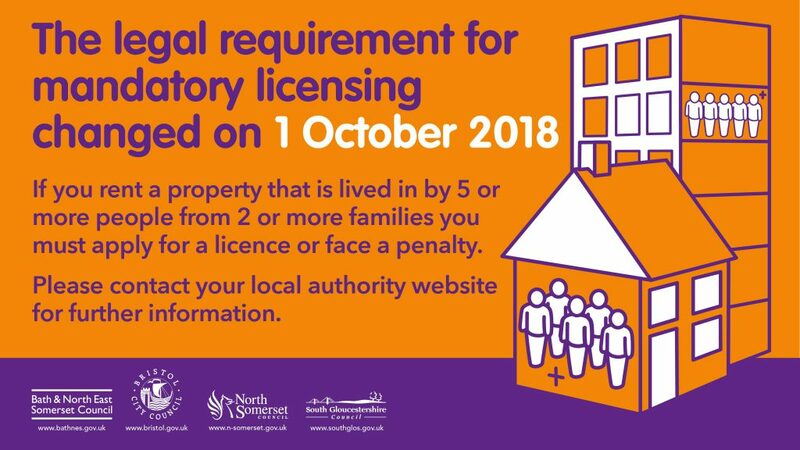 At present, South Gloucestershire Council only operates a mandatory HMO licensing scheme and has no additional or selective licensing schemes in place. Additional and selective licensing schemes are where other properties that are smaller and rented to fewer people also need licensing, depending on the area. This means that if you rent out properties in other local authority areas as well, you should check with the local authorities they are in to see if they also need to be licensed. The council may also add other conditions to your licence, e.g. regarding management of the property or improving the standard of facilities. You will be informed of any additional conditions following an inspection of the property. If you disagree with any conditions the council sets, you can appeal to the First-Tier Tribunal. HMO licences are administered by the Private Sector Housing team. HMO licence fees are calculated by combining two elements; the number of units of accommodation and the carrying out of a fit and proper person check. Properties with up to five units of accommodation attract the standard fee of £656.00. An additional charge is then made for each additional unit of accommodation provided at the rate of £35.00 per unit. Each person involved with the management of the property will also require a fit and proper person check unless they have already had a fit and proper person check completed within the last five years with another West of England authority. The West of England authorities include Bristol City Council, North Somerset Council and Bath & North East Somerset Council. If this is the case, you will need to provide your fit and proper person number on your application to confirm this. If not, then you will need to pay for a fit and proper person check to be completed, which is charged at the rate of £35.00. You will only require one fit and proper person check, so if you are licensing more than one property, you will only need to pay the required fee on the initial property licensed. For more information on HMO licensing, please visit our West of England website. You can also read the guide for landlords and managers who manage HMOs for more information.